Andrew Quitmeyer is a hacker and adventurer studying intersections between wild animals and computational devices. His academic research in “Digital Naturalism” as a professor at the National University of Singapore blends biological fieldwork and DIY digital crafting. 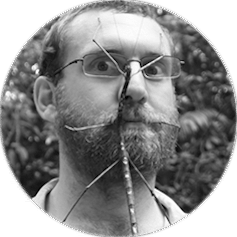 This work has taken him through international wildernesses where he’s run workshops with diverse groups of scientists, artists, designers, and engineers. He runs “Hiking Hacks” around the world where participants build technology entirely in the wild for interacting with nature. His research also inspired a spinoff television series he hosted for Discovery Networks called “Hacking the Wild.” His latest endeavor is a the two month free conference for “Digital Naturalists” from around the world to live and work together in nature (www.dinacon.org).